How are you defining YOUR digital identity? Our digital identity, or tattoo, is the permanent collection of data about us that is available online. Each time we post a picture, a blog, a status or a tweet, we are adding to that digital identity. As more online applications become part of our daily lives, our digital identities become increasingly more detailed. There are over a billion pieces of content added to Facebook every day! More importantly, there is a generation of young kids, with limited life experience, who are sharing every detail of their lives online at great potential risk. What does our digital identity say about us? Who is reading this information? Who is storing this information? What are they doing with it? What impact will it have on our future? What does it say to future employers? The Dean of Admissions? Our descendants? Binary Tattoo’s mission is to help educate and empower people with the knowledge of how our online identity is first created and then developed so that they can choose how it evolves in the online world. With an increased awareness in digital safety, we can all enjoy the benefits of online communities without falling prey to the risks. Cat is a geek. Her passion for electronics was evident as early as grade 7 when she took pleasure in disassembling and re-assembling calculators. 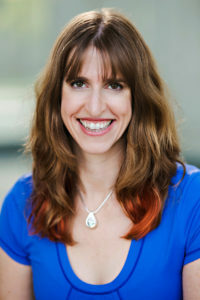 She graduated from the University of Waterloo where she earned a degree in Electrical Engineering and a minor in Computer Engineering. After some early experience designing computer games, Cat joined the leading Canadian mobile device company where she devoted more than a decade to designing complex software and leading teams of smart people. Cat loves tech and tech loves her. Well, tech likes her a lot. Cat is a parent. Some days she would like to package her two little girls in bubblewrap and send them off with a GPS chip for tracking purposes. As tempting as this seems, she understands the reality that this wouldn’t work. One on hand, the little Houdinis would have that bubble wrap off in no time, and on the other, they already have digital identities. Both of her babies (and most of their friends) were on Facebook within an hour of being born. Though we cannot predict the future of technology, we can arm ourselves (and our kids) with knowledge to help make better choices and help navigate this new world. Cat has since immersed herself in the world of online privacy and has a certification in Canadian Privacy Law from the International Association of Privacy Professionals. Cat likes other stuff too. She is a gym rat and a health nut. She loves dancing, musicals, and bad tween entertainment (that she blames on the babysitters even though she knows that Netflix knows everything). How can you keep up with the ever-evolving information about social media? Check out the Tips page for the Binary Tat Cat Says “Don’t Do That!” list. Binary Tattoo tweets, blogs and emails about the latest social networks and changes to their privacy settings. To stay in the know, choose your favourite form of communication below. Facebook, for updates to your Facebook news feed – Visit us on Facebook or Like us below. Check out past versions of our Newsletter here.